Real Madrid and Tottenham didn't go beyond a 1-1 draw tonight at the Bernabéu and they both now sit on the top of Group H with 7 points each. Varane's own goal gave Spurs the first lead, but the Merengues responded with another Cristiano Ronaldo from the penalty spot. 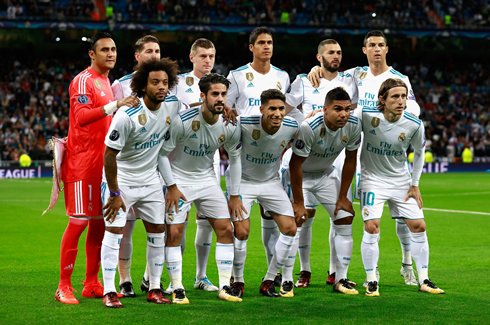 Two giants collided at the Bernabéu in another big night in this Champions League campaign, but neither Real Madrid nor Tottenham managed to leave the pitch victorious. A 1-1 draw was the best both teams could come out with tonight, but they'll be happy to know they keep Borussia Dortmund and APOEL at bay, both staring 6 points below them. The English side were the first to shake the back of the net in the Spanish capital when Rapahel Varane deflected a cross to his own goal, but Cristiano Ronaldo restored the normality shortly after, converting a penalty-kick against Hugo Lloris. It was a top of the table clash in Group H, as Real Madrid took on Tottenham at the Santiago Bernabeu. After some lackluster performances in recent weeks, fans were hoping that a return to the Champions League would bring about top form, unfortunately, a lot of the old signs still reared their ugly head. 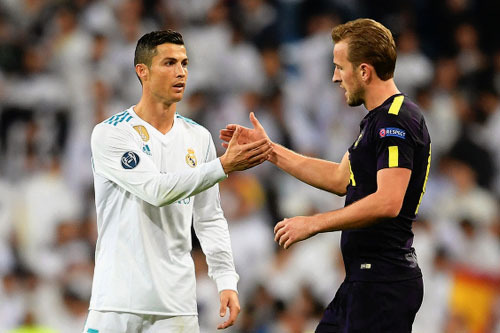 Poor finishing and unimaginative play would hamper Madrid tonight and some glaring errors would give Tottenham the opportunity to come away with a draw. A goal from the penalty spot by Cristiano Ronaldo, which canceled out an earlier Raphael Varane effort. In fact, Varane was uncharacteristically shaky today battling against Harry Kane and he should have easily cleared the ball on that unlucky own goal. Another player who'll receive the bulk of the criticism in the post game is Karim Benzema, just back from injury, his link-up play was excellent as usual, but his finishing again left the Bernabéu faithful wanting. His open goal miss in the first half would prove costly. A goal there could have settled the match down for Madrid and given the 2-time Champions League champions the impetus to go one and control the match, but Alas he missed and Madrid suffered in the end. As for the performance, we need to figure out how to be a bit more creative in the final third, in many ways we are missing Gareth Bale's pure ability and his long-range shooting threat, as well today Isco was largely nullified and it became a more frustrating game as a result. Also, these home matches are certainly becoming a problem as well. But in the end, a point was a fair result and it's still quite early in the season. Those injuries and suspensions seem to have truly knocked us off any momentum that we came into the season with, so here's hoping we can start to gel as a team. Cristiano Ronaldo next game is for Real Madrid on October 22 of 2017 against Eibar. You can watch Juventus live stream, Real Madrid vs Eibar, Barcelona vs Olympiakos, Benfica vs Manchester United, Chelsea vs AS Roma, and Bayern Munich vs Celtic, all matches provided from our live soccer game pages.